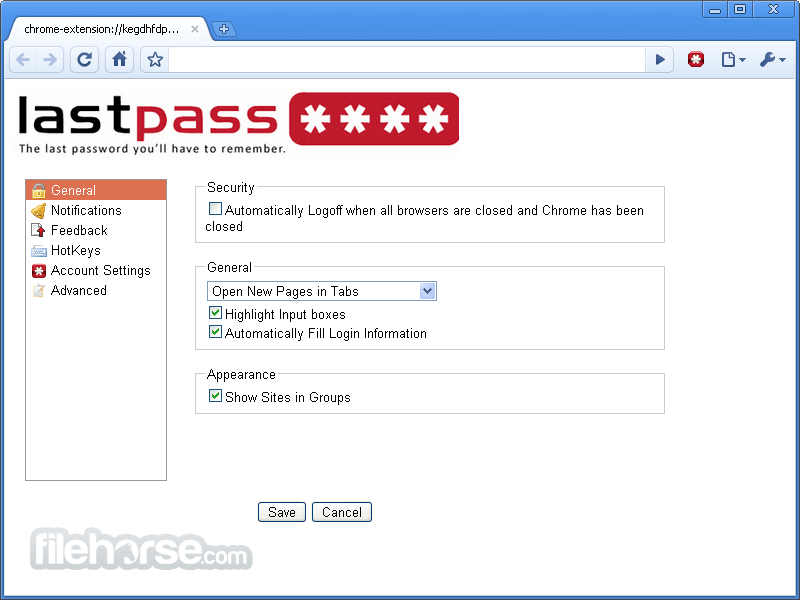 LastPass is the last password you will ever need. It allows you to: Create strong passwords, knowing you only have to remember one. 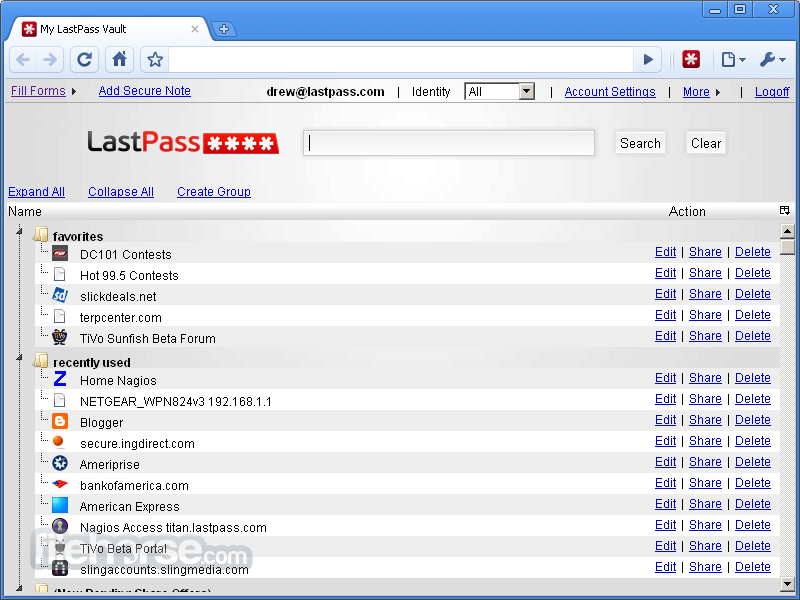 LastPass has addons for: Internet Explorer, Firefox, Safari (for Mac), Google Chrome, and works with other browsers with Bookmarklets (e.g. Opera). LastPass uses Host Proof Hosting techniques to synchronize your passwords all while LastPass never has access to your sensitive data. LastPass offers a premium upgrade as well for mobile access on iPhone, BlackBerry, Windows Mobile, Google Android, Palm webOS, and Symbian phones. 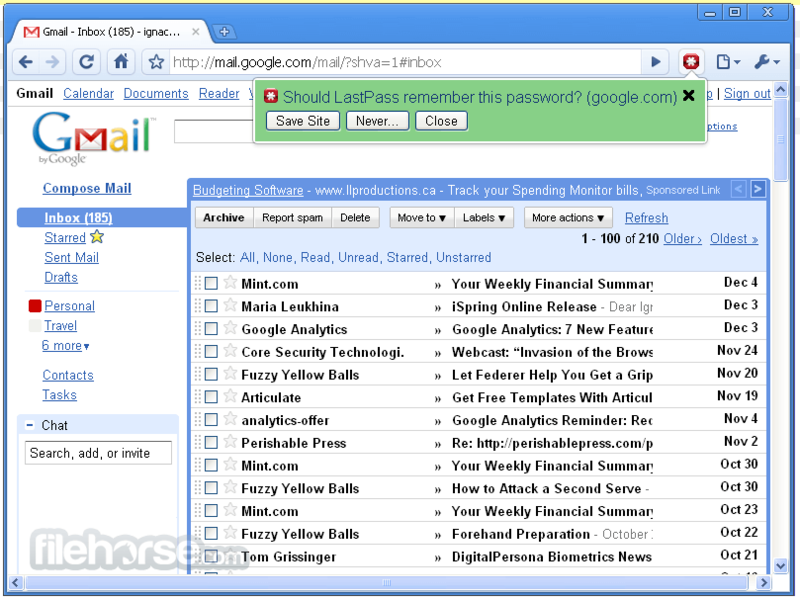 Find all the password-protected or encrypted files on a PC or over the network! 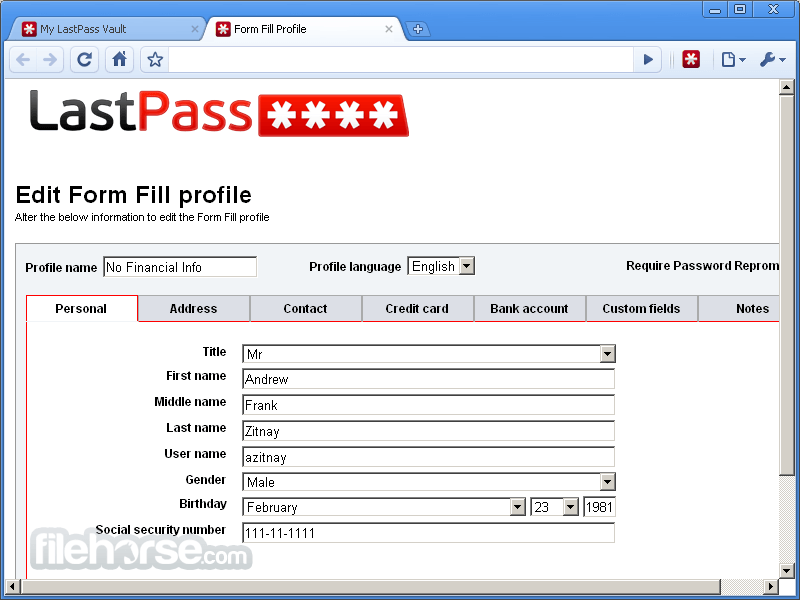 Download and setup with LastPass in minutes. Once you've created your account, LastPass prompts you to save new sites as you browse - so you'll never lose another password. 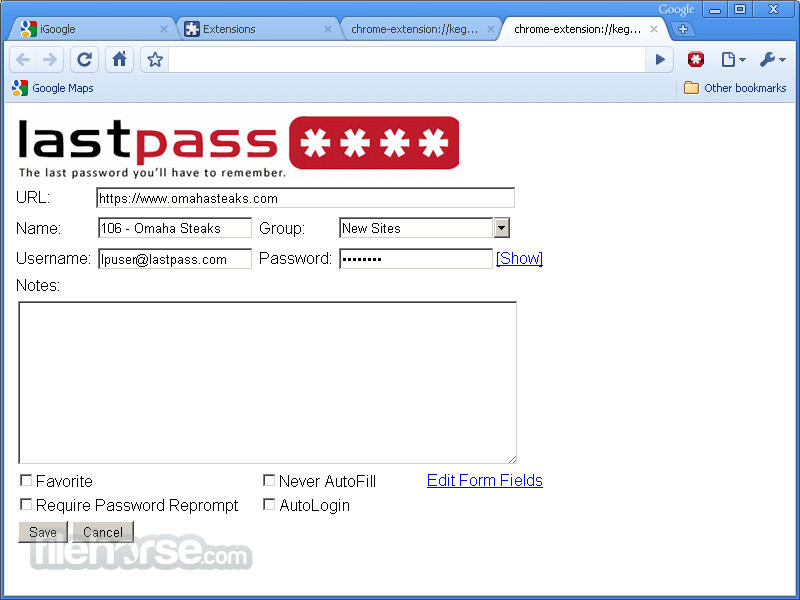 After saving a website's username and password, LastPass will autofill the login when you return to that site. No thought, no typing, no work required - LastPass does it for you. See all your accounts and passwords in one easy-to-use "vault", where you can edit, delete, and organize your stored data. LastPass syncs automatically, so you're up-to-date, wherever you are. Set up a Profile for each credit card, family member, billing and shipping address. When you're registering for an account, or ready to complete a payment, select the Profile you want, and complete the form in a single click. Need to check that bank statement before you board your flight? Upgrade to LastPass Premium for unlimited use of mobile apps for complete peace of mind, wherever you are.